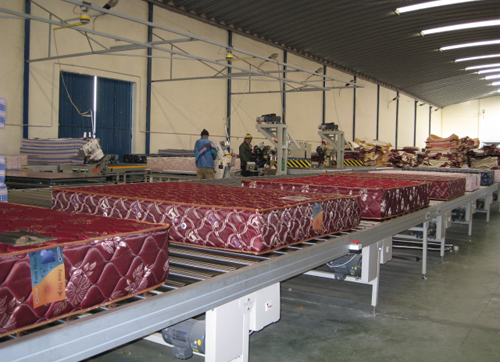 Automatic Conveyor of Spring Mattress is used for conveying the spring mattress and distributing automatically. The Automatic Production Line we designed and produced works placidly with high work efficiency, thus, the cost of production and labour force can be need less. 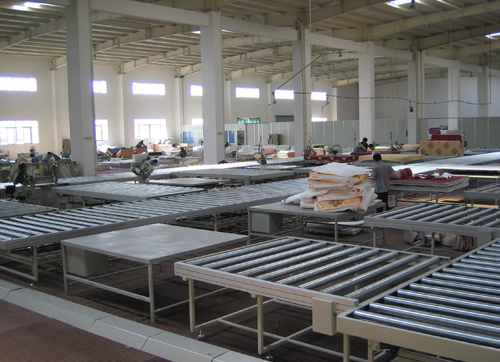 We can customized different material of mattress production line according to the client’s requirement, and can design the production line according to the client’s layout of workshop. 3. Relative Humidity: Less than 85%. 4. No serious corrosive gas in the medium. 5. Voltage Rating: 85% -- 110% of required voltage. 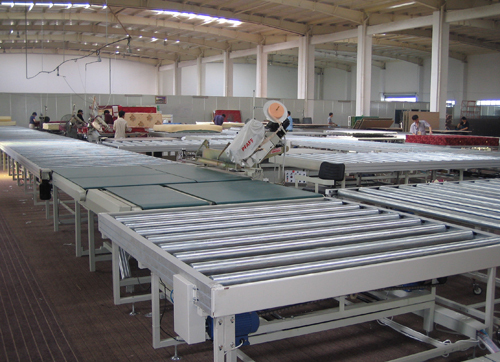 The machine has advanced technique of industrial control, every working procedure was controlled by PLC System, and it can convey automatically with automatic tape edge machine and packing machine. 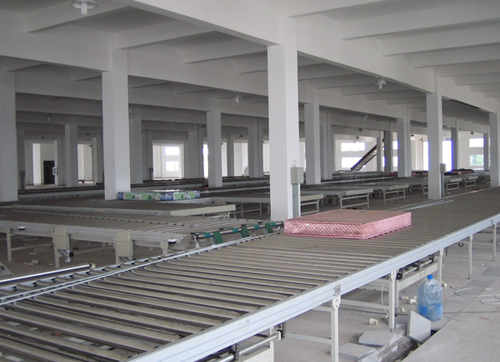 The production line was equipped with PCL System which from Mitsubishi, sensors are from Omron and Motors are from Tung Lee Electrical Co., Ltd in Taiwan. It can work very well due to its high quality pneumatic components, international famous brand low voltage components. High velocity, high reliability and simple maintenance. 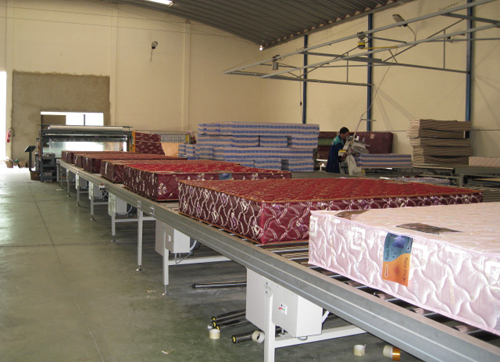 Can detect and convey the mattress if it is on the right position automatically and stop automatically when it finished its work. 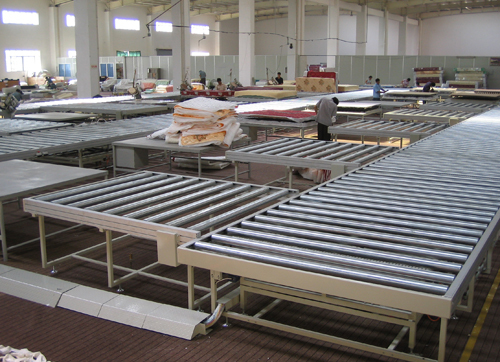 We use stainless steel composite tube as its material, and this material will never have rust to ensure the surface of the mattress clean. The frame was made of aluminum alloy and it have durable service and beautiful appearance. It can worked with advanced technique of bar code recognition to classify the productions, and make the record and statistical function automatically. It equipped with imported Hot Melt Adhesive Machine, and can work with robot manipulator well to spray glue, planish, overturn and so on.